On February 16, 1913, Grace Sammons was born to William Franklin Sammons and Millie (Rucker) Sammons in Johns Run, Carter County, Kentucky. Over the weekend, Grace's family and friends gathered in Grayson to celebrate her 100th birthday. For several hours, Grace "held court" as well-wishers came and greeted the centenarian and life-long Carter Countian. During the celebration, Grayson mayor George Steele gave Grace a key to the city. He also read a proclamation of the city council which declared February 16, 2013 as "Grace Brammell Day" in the city of Grayson. Senator Robin Webb moved the Kentucky State Senate to recognize Grace "upon the auspicious occasion of her 100th birthday." 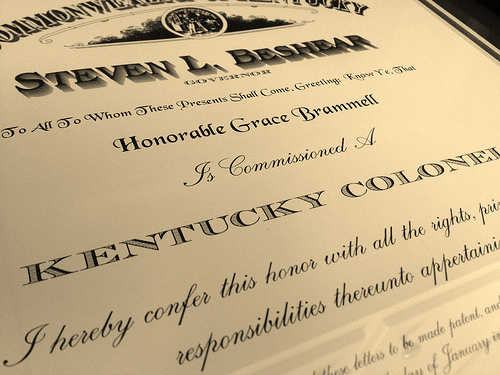 Governor Steve Beshear commissioned Grace Brammell to the Honorable Order of the Kentucky Colonel. And the President and First Lady sent their greetings from The White House. 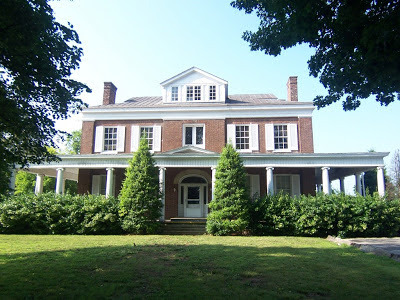 Grace was married to Fred Powers Brammell of Hitchins (also Carter Co.) in 1937; the two had eloped at the Morgan County Courthouse in West Liberty. Fred and Grace had five children and were lifelong farmers until Fred passed away in 1996; Grace has remained on the farm she and her husband built in the 1950s. 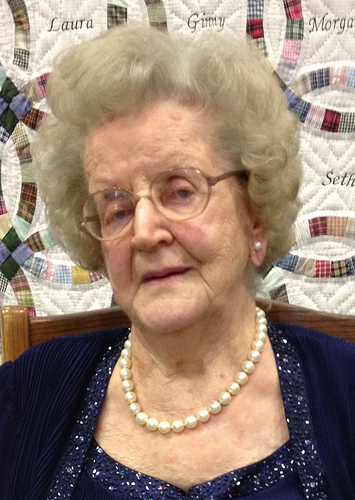 She continues to be an active member at the Pactolus Methodist Church, of which she was a charter member. Grace and Fred had five children, twelve children, countless grandchildren (including my wife) and greatgranchildren (incuding the lil' Kaintuckeean and the lil' Miss Kaintuckeean). And though she does show signs of age, Grace remains full of wit, of beauty, of love, and of faith. She is an inspiration to her family and to all those with whom she comes in contact. Happy Birthday, Mawmaw! 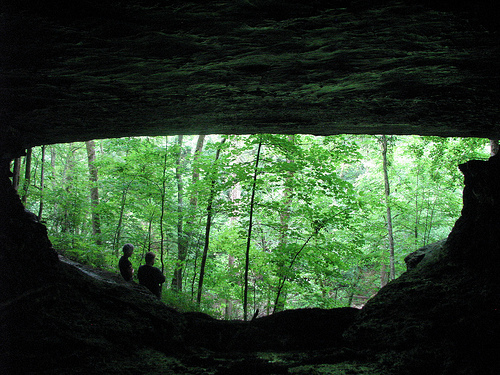 More pictures on flickr. Update (June 21, 2018): At age 105, Grace "Mawmaw" Brammell left this world behind. 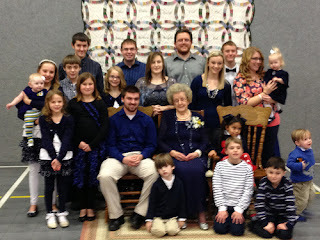 Rest in peace, Mawmaw.